Kunle is a Vice President in the EULA, India and Africa team of Prudential International Insurance (PII). In his current role, he focuses on executing PII’s Africa Strategy and Business Initiatives, while also coordinating PII’s Strategic Planning Process. Prior to this, Kunle worked in Prudential’s Chief Investment Office team that manages the Company’s $450 billion general account portfolio. He began his career in investment banking and corporate development, and subsequently completed an MBA at The Wharton School of the University of Pennsylvania. 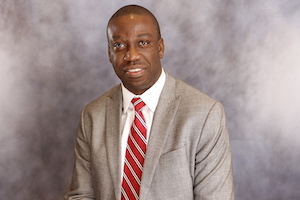 After Wharton, Kunle provided investment banking and consulting services to clients over a 10-year period. During this time, he led and managed the execution of M&A, Project Finance, and Strategic Value Consulting transactions for large corporations and PE firms.